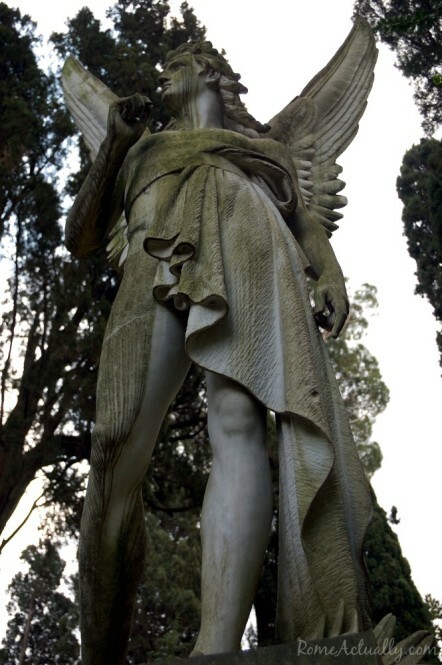 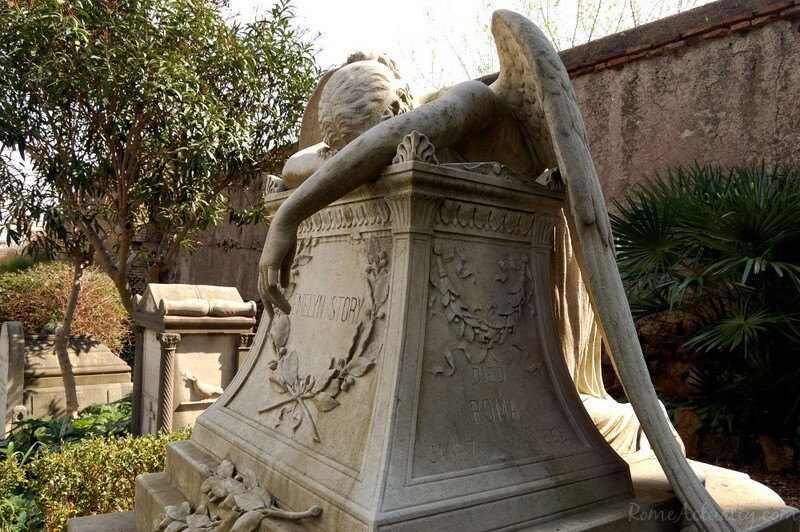 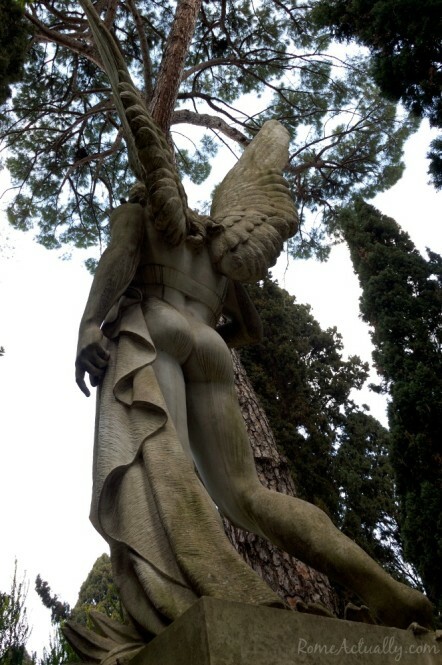 Possibly the most famous and photographed statue at the non-Catholic cemetery, this crying angel symbolizes the pain a husband felt after losing his wife. 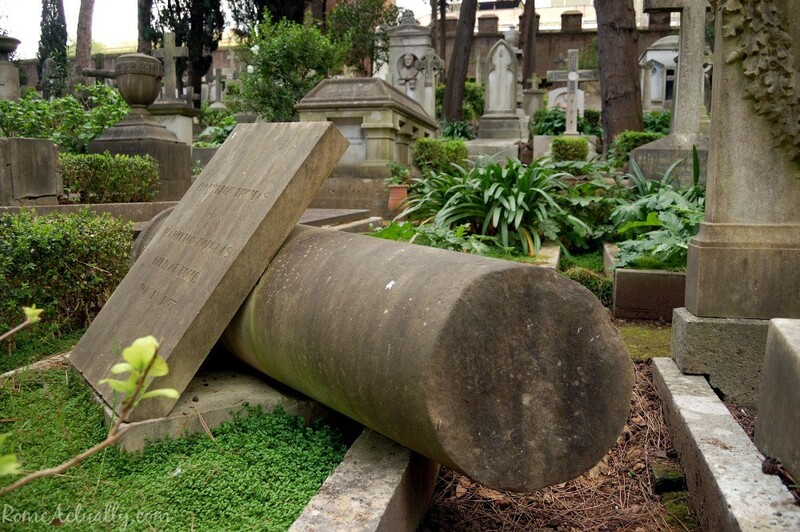 As spring had begun just in time to fill the city with colorful flowers, I waited for a slightly rainy day to inspire some shots at the non-Catholic cemetery in Rome, known also as the Protestant Cemetery, in Testaccio neighborhood. 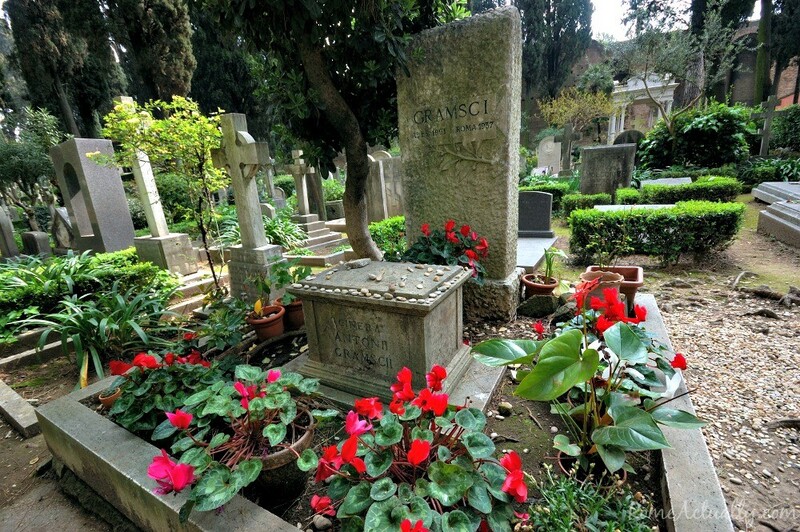 Here is buried a wealthy collection of artists, writers, poets, philosophers and ordinary people. 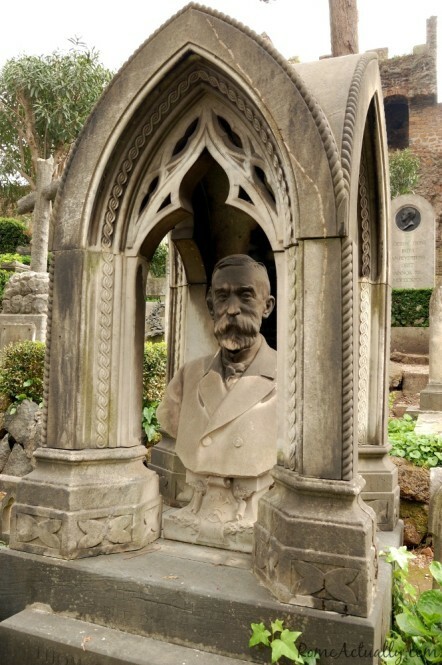 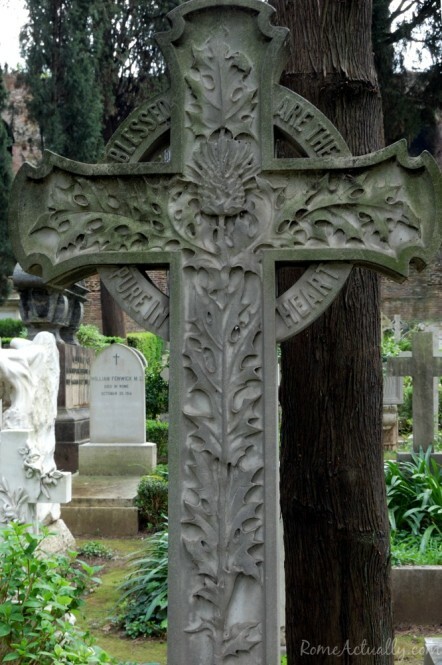 Most are foreigners, resting here because they don’t belong to the Catholic creed, but there are also graves of Italian people, both famous and ordinary citizens. 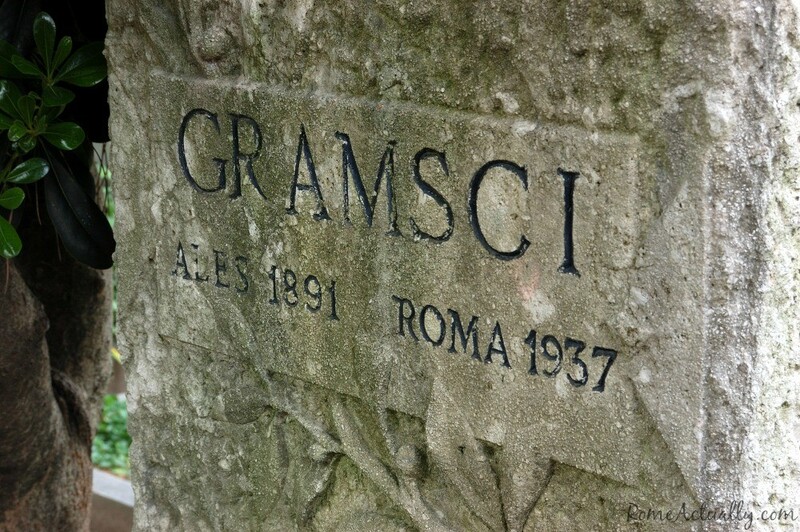 Among the most distinguished Italians that here found eternal rest is Antonio Gramsci, one of my very favorite politicians, philosophers, writers and thinkers, who died in 1937 after ten years of Fascist imprisonment. 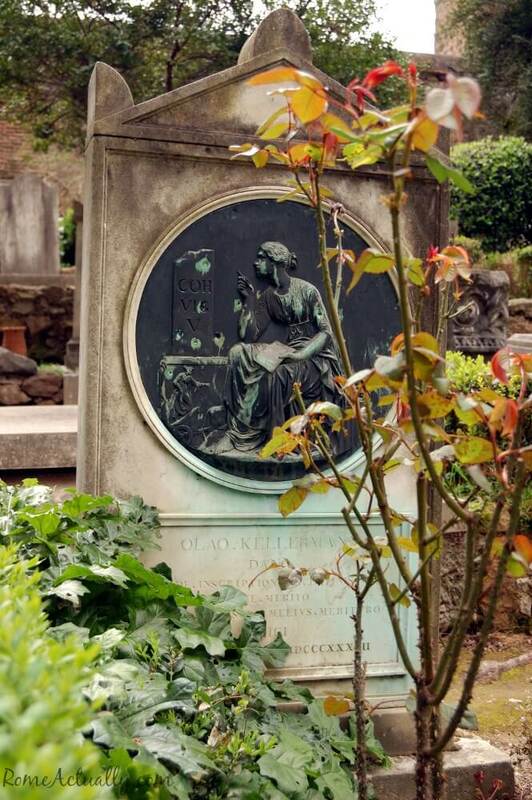 Among other names, are buried here also English poets John Keats and Percy Bysshe Shelley, Goethe’s only son, Russian painter Karl Brullov, Norwegian sculptor Hendrik Andersen, Italian novelist Carlo Emilio Gadda, American explorer Thomas Jefferson Page, Italian physicist Bruno Pontecorvo and English painter Joseph Severn. 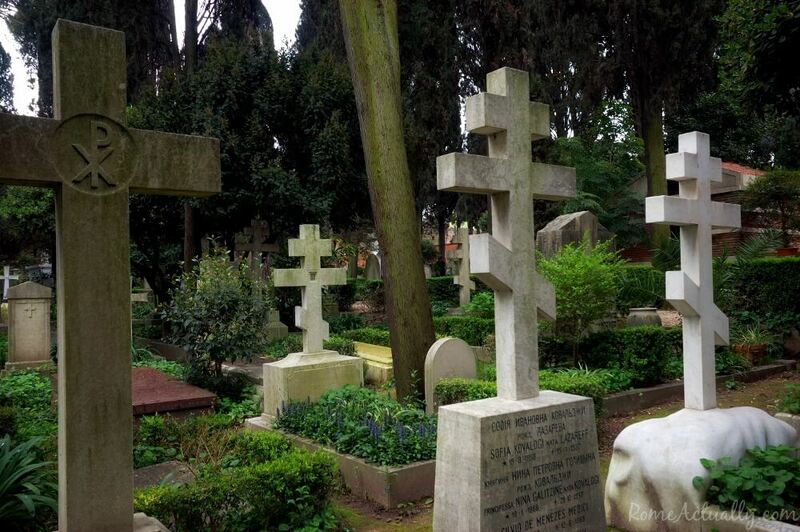 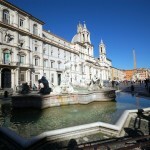 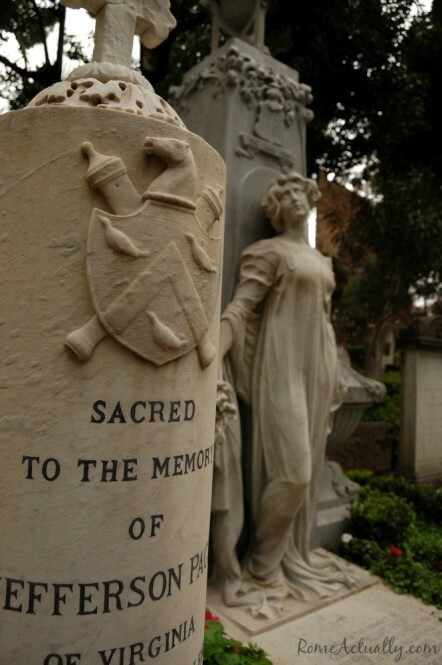 A suggestive mix of pagan symbols and different religions and traditions, while this cemetery might not be a straightforward attraction, should you actually visit the non-Catholic cemetery in Rome, it will no doubt make for an unconventional stop. 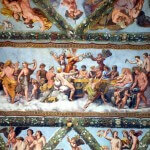 Here you will find poetry, art, portraits, literature, still life and virtuosity all around. 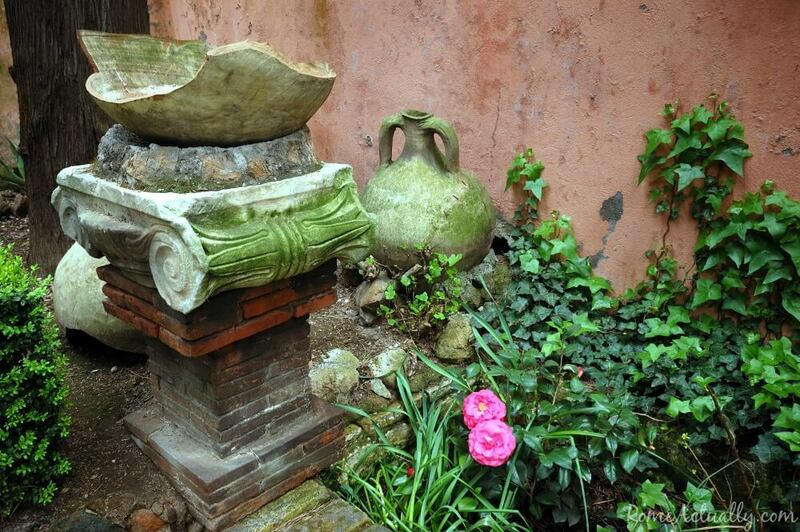 Below, some of my shots to give you the feeling of mystery and beauty that wraps the place. 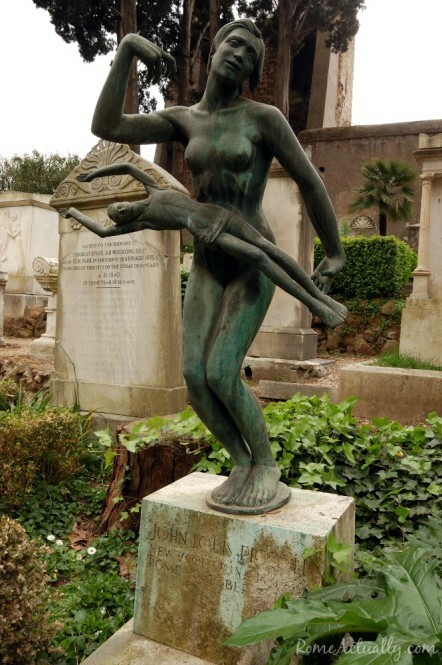 The cemetery entrance is in 6, Via Caio Cestio, a side street off Via Marmorata and a small walk away from Piazzale Ostiense. You can get here by train (Ostiense station), metro line B (Piramide station) or by bus n. 30, 60, 83, 95, 716, 719, 280, 23, 175, and tram n. 3. Opening hours are Monday to Saturday 9am-5pm (last entrance 4,30pm), and Sunday and public holidays 9am-1pm (last entrance 12,30pm).